„Die Kleinen Virtuosen“ brillieren mit ihr auf hohem professionellem Niveau und bieten dem Publikum eine große Überraschung. with electro/violin or classical acoustic violin, whether a solo or a whole orchestra... Today's technical passibilities alow us to present big shows. Our goal is to exceed all expectations, to fascinate the audience and to be remembered. The internationally renowned soloist, Anja Bereiter, has been supporting young talents from Switzerland for years and integrating them into ther performances. "The Little Virtuosos" shine with her on a high professional level and offer the audience a big surprise. 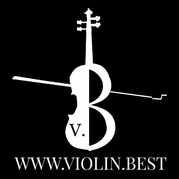 Young violinists have composed with me 26 heartfelt pieces. This book is addressed to all violin teachers. We are happy to give you our book! We would be very happy if this music is needed! Junge Geigerinnen und Geiger haben mit mir zusammen 26 herzige Stücke komponiert. Dieses Buch ist an alle Geigenlehrerinnen und Geigenlehrer gerichtet. Gerne schenken wir unser Buch euch! Wir würden uns sehr freuen, wenn diese Musik gebraucht wird!